Whether you are a professional videographer or an advanced amateur hoping to upgrade your current tech, the Canon Vixia HF G20 might be the choice for you. Designed to rival professional-grade cameras, the G20 is unmatched when it comes to shooting in challenging lighting situations. This little powerhouse has become the camera-of-choice for indy filmmakers and concert videographers around the globe. By exploring expert reviews, pros, and cons, and using comparisons, we hope to help you make the most informed decision possible. Buying a camera is considered a large purchase, and it is vital to choose the camera that's right for you. We will say that if you are just interested in filming the kids at the beach for home use, this might not be the camera for you. With some new technology, Canon took one of their most popular cameras to date, the G10, and gave it an upgrade. Industry professionals can't stop raving about the image and sound quality that comes with the new version. The Vixia HF G20 is competitively priced and is called the "indy filmmaker camera" for many, excellent reasons. While there are a few minor downsides to the new G20, we'll start with the best features first. With the camera's Canon HD CMOS Pro Image Sensor, it's easier than ever to capture beautiful images. Designed to help in all sorts of challenging lighting situations, Canon improved the low-light performance by 20 percent. This new feature provides flexibility in dynamic light ranges, significant increases in the ability to capture light, and enhanced gradation. On top of that, the G20 uses a DIGIC DV III image processor to help reduce noise and increase color accuracy. The G20 includes an eight-blade iris which ensures a buttery smooth background image. It has a field of view of 30.4mm which is much broader than most in its class. The broader field of view ensures that those scenes filmed outdoors capture as much of the beautiful scenery and the background as possible. The Axios G20 stands head and shoulder above many of its competitors when it comes to audio quality, as well. There is an External Mic Jack that will significantly enhance your sound options. The camcorder comes with Dolby Digital 2-channel (AC-3) stereo sound. Add to that the Headphone Jack to monitor the quality of the audio and the G20 easily competes with the cameras used by the pros. In one review on Amazon, the videographer stated that the G20 is the only camera he likes to use to capture the rock concerts he is hired to film, as the audio quality is so superior to his other cameras. The upgraded G20 has a unique lens hood that helps control the amount of light coming into the lens which helps immensely with any possible glare. The camera records in full 1920 x 1080 HD. The 10x zoom HD Video Lens includes a Dynamic SuperRange optical image stabilizer to help out when one uses the camcorder in low-light, without a tripod, or happens to have shaky hands. The G20 has 32GB of internal memory to capture crisp HD video for up to 12 consecutive hours. There are two memory card slots (SDHC and fast, high-capacity SDXC) and the camera has Relay Recording technology. The Relay Recording technology allows a seamless transition between memory slots, ensuring there are no interruptions in the recording. The Canon Vixia HF G20 sports a bright 3.5″ LCD screen for ease of use. The screen pops out easily ensuring you can start recording as quickly as possible. Canon redesigned the eyecup on the viewfinder. The new design makes sure that when screen glare is a problem you can efficiently use the manual settings. The Touch and Track system is included with the G20, as well. This system allows the user to track their subject and keep the focus and exposure where it should be. It's easy to use this feature, you choose the focus subject on the 3.5-inch screen, and the G20 does the rest. One of the most exciting features, along with the exceptional low-light performance of the Canon Vixia HF G20, is the easy-to-use manual controls. With a simple flick of a switch, the camera goes into manual mode. This mode enables you to use it without needing the touchscreen at all. The camera has a focus ring that activates a focus assist mode. The focus assist mode doubles the magnification of the subject. When the subject is that magnified, it allows the user to capture all those essential tiny details. (W x H x D) 3.0 x 3.1 x 6.3-inch (77 x 78 x 161mm). Excluding lens hood and grip belt. 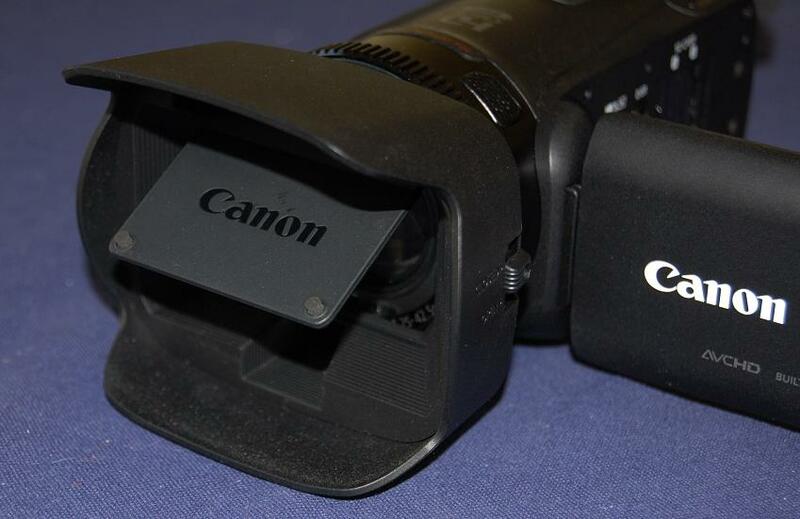 The Canon Vixia HF G20 is competitively priced so it can fit into any budget. Many online retailers have competitive sales and even refurbished models are sometimes available for purchase. Before making any purchase, comparing a few other cameras in the same class is a must. We've done the work for you and found some cameras similar to the Canon Vixia HF G20. 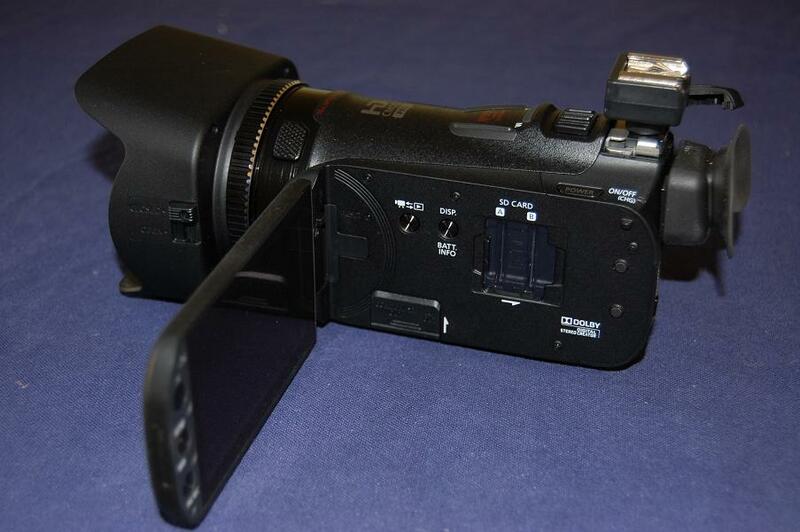 The first camera we will compare the G20 to is the Panasonic HC-V770 full HD camcorder. While the Panasonic does come in slightly less expensive, it can't hold a candle to the G20 in low-light scenarios. The sensor on the Panasonic is a 1-chip 1/2.3″ MOS. Compare that to Canon's 1/3″ CMOS chips, and it's easy to see why the Panasonic loses out in this category. The Canon comes equipped with an RGB color filter; the Panasonic does not. The Panasonic does zoom in a little further with a 20x zoom lens, versus the 10x zoom of the G20. But, the Canon has a much higher digital zoom rate (200x vs. 60x) than the Panasonic. The Canon has a multitude of memory options that the Panasonic doesn't include. The Panasonic has a few more options for video format than the Canon. Panasonic's camcorder will record at 60 fps, and the Canon does not. The Panasonic records audio in a few more formats than the Canon. However, the Panasonic does not have an external audio connection or a connection for headphones like the Canon. Both cameras come installed with stylish presets to add drama to any video. The Panasonic contains WiFi, and the Canon does not. WiFi allows the user to connect the Panasonic to their smartphone and use that as a secondary camera while filming. While the option with the Panasonic to connect a secondary camera, as well as to WiFi, seems neat, many reviews state that the WiFi connection is less than stellar. Add that to Canon's superior low-light capabilities and remember that when making your decision. The second product to compare with the Canon Vixia HF G20 is the Sony FDR-AX53 4K Ultra Handycam Camcorder. Sony's version is almost in the same price range as the G20, but the similarities don't end there. The sensor chips in each camera are the same, which enables both of them to shoot quality video in low-light situations. There is an RGB color filter included with the G20, but not the Sony. Sony zooms in a little closer with an optical zoom of 20x. The digital zoom on the Sony is 250X versus 200x for the G20. The Canon comes with more memory options than the Sony. Sony's version films at 60 fps whereas the Canon only uses the old 30 fps rate, giving the Sony users a few more options for video formats. The Sony will record slow motion, and the G20 does not. The Canon contains optical and digital image stabilization; the Sony only includes optical. The Sony can connect to WiFi and Livestream and the G20 cannot. Overall, both of these cameras are very similar, but the Sony is consistently more expensive than the G20. The Canon Vixia HF G20 is a fantastic camcorder for this price range. However, there are a few drawbacks found in the research, let's review those here. The G20 is competitively priced and is much more affordable than other cameras in the same price range. 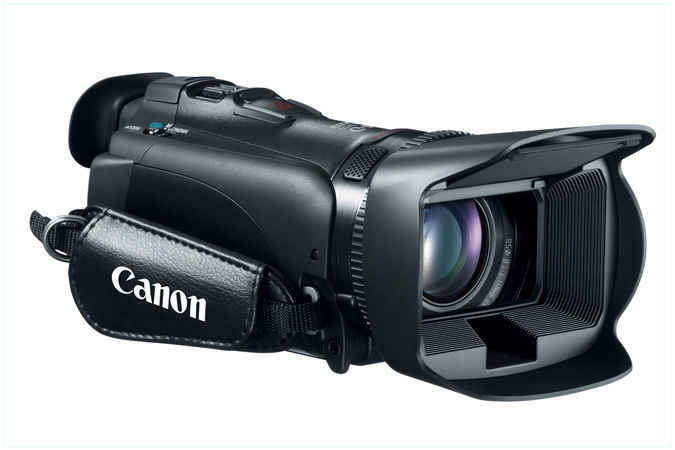 Canon's camcorder contains many more outputs than all the other competing cameras giving the user a plethora of options not available with the other brands. There are many options for using presets to add drama and flair to every project in the package with Canon's G20. It comes with an image stabilizer. The G20 does not contain capabilities to connect to WiFi. The absence of this technology means that if you are using your new camera to stream online, the G20 might not be for you. Some users do not like the Focus Ring. Reportedly, it can be difficult to turn, which can make filming a clean shot difficult. The battery life is shorter than users would like. The touchscreen is the older version which uses pressure instead of heat. Some users report that this makes the screen more difficult to operate. Others are delighted that you can even work the screen when wearing gloves. Overall, the Canon Vixia HF G20 is a camera at the top of its game. With a four-and-a-half star review from Amazon, it is indeed one to watch. With video quality that is nearly unrivaled, the G20 should be at the top of anyone's list. Provided, of course, that the person in question is considering stepping up their videographer game with some upgraded tech. When it comes to video quality, the Canon Vixia HF G20 has a good edge among others of the same price range. It is easy to use for both amateurs and professional. The external microphone connection gives it a boost on audio recording, which many other brands are missing. It does not have the capability for Wi-Fi connection though, so it is not for those into online streaming.